Three species of frog new to science have been found in reserves supported by World Land Trust (WLT) in Ecuador. All three species are from the Pristimantis genus, the most populous genus of vertebrates on earth. “These intriguing discoveries demonstrate how much there may still be to discover in these reserves and the wider area. Our partners’ work to expand protected areas in Ecuador remains vital in protecting habitat for undescribed and potentially threatened species,” said David Wright, WLT’s Head of Programmes. One species Pristimantis pichincha was found in Fundación Jocotoco’s Yanacocha Reserve, in the western foothills of the Pichincha Volcano. This particular species has an unusual head shape and nodules on its skin. 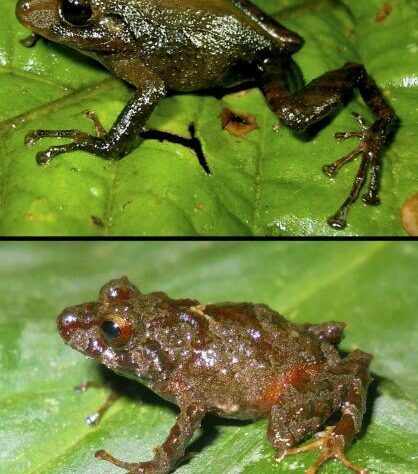 Two other species – Pristimantis pinchaque and Pristimantis sacharuna – were discovered in Rio Zuñac Reserve, which lies in the buffer zone of the Llanganates National Park, on the eastern slopes of the central Andes. These two species are distinct due to their skin pattern and colouration. Rio Zuñac Reserve is owned and managed by WLT’s partner Fundación EcoMinga. This area between the national parks of Llanganates and Sangay is the focus for WLT’s current special appeal, Forests in the Sky. The appeal is raising funds to purchase and protect a corridor on the west side of the wider Llanganates-Sangay Corridor, where other new species are waiting to be revealed. 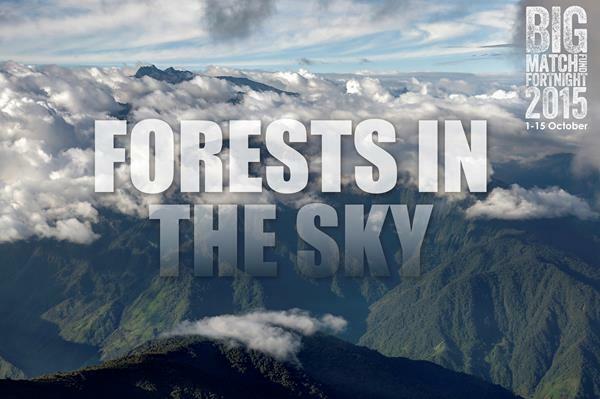 You can help protect more future discoveries by donating to Forests in the Sky. All three species were described in Avances en Ciencias e Ingenierías, 2015, Vol. 7, No. 2.